After a hiatus of having no bees in my yard, this spring I will end up with three hives- 2 nucs and 1 package. 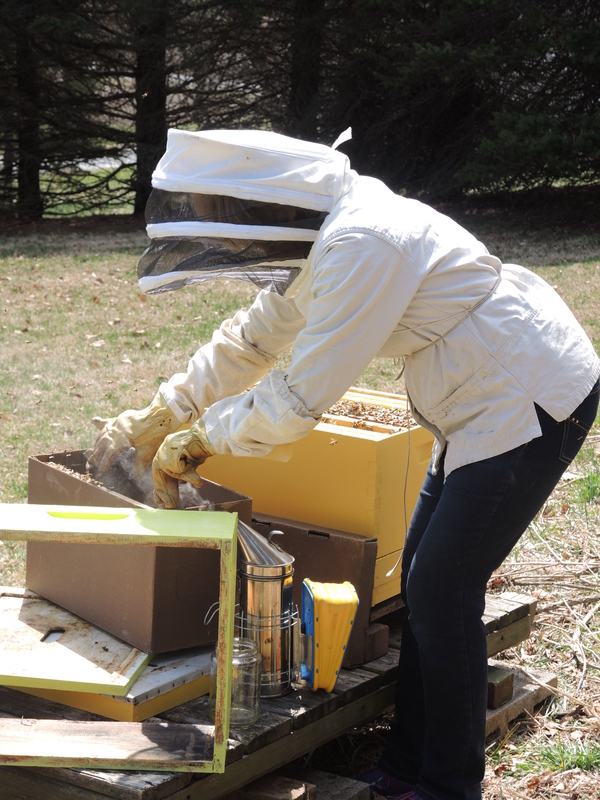 For beginning beekeepers, there are different ways of starting your own hive and here are three options: Packages, nucs, or buy an existing live hive. To get an overview of Beekeeping, it’s costs, benefits, and problems, go to my post, Beekeeping Start-Up, Jump into the World of Beekeeping. To see how to hive a package, go to Bee Packages Are Here! Live Hive- This is probably the most difficult to purchase. 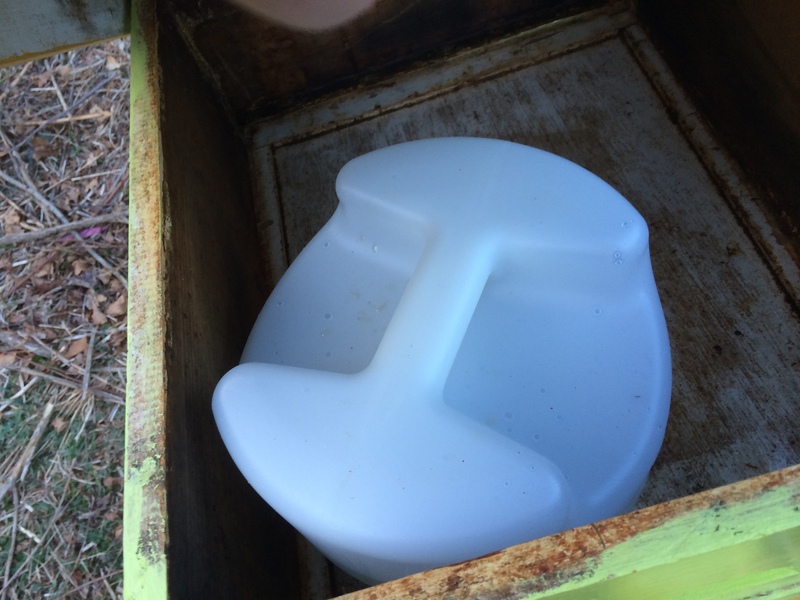 Never buy a live hive until it has been thoroughly inspected by a state apiary inspector and given a clean bill of health. This might be a good approach, but you have to find a beekeeper willing to sell a complete working hive and it is unlikely to find one unless the beekeeper is retiring or has passed. Very few beekeepers want to sell a good, live hive and there must be a compelling reason to do this. However, when you purchase a live hive, you are also purchasing all the existing problems such as small hive beetles, tracheal mite, varroa mites, wax moths or diseases such as nosema, American Foul Brood or European Foul Brood, etc. For small hive beetle controls, go to Small Hive Beetles to see how to combat these pests. Will the queen be healthy and properly mated? 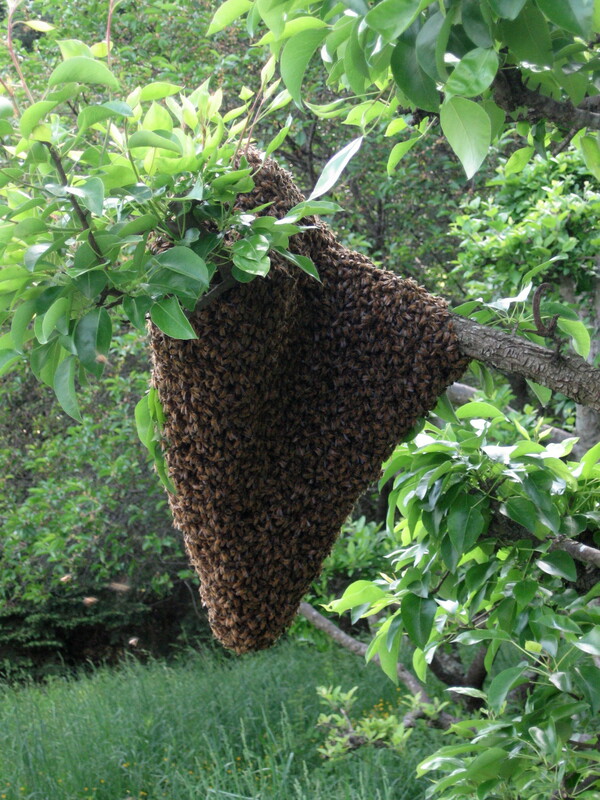 Since they are from the south, could there be a chance of Africanized genetics, making a more aggressive hive? 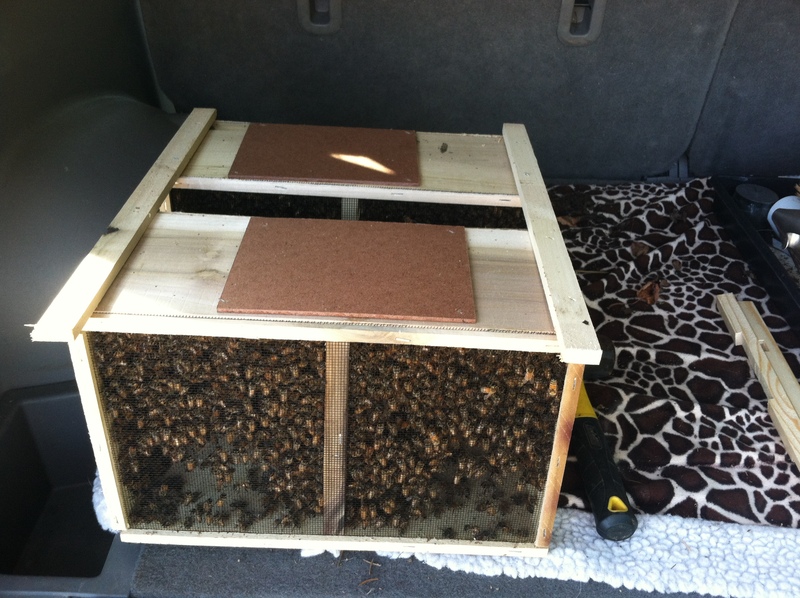 Shipping stresses, such as too much time in the package and excessive temperatures can weaken both the bees and the queen. So, while this is the “industry standard” and has been for a century, it is not risk free or fail safe. I can attest to this as a good percentage of my packages have failed. 3. NUC- A nuc is a short expression referring to the nucleus of a live hive. The nucleus, or nuc, usually contains four or five frames from a complete hive. 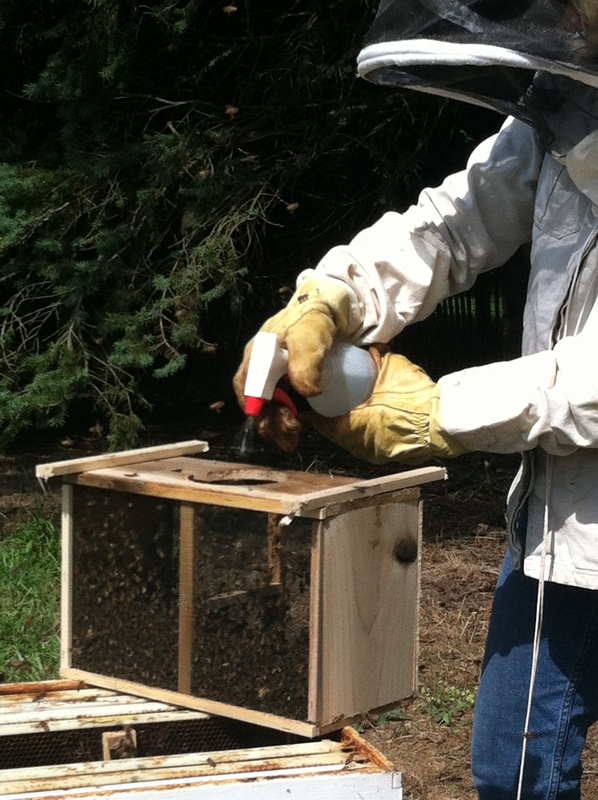 The frames include brood in various stages and frames mixed with honey, pollen and brood. 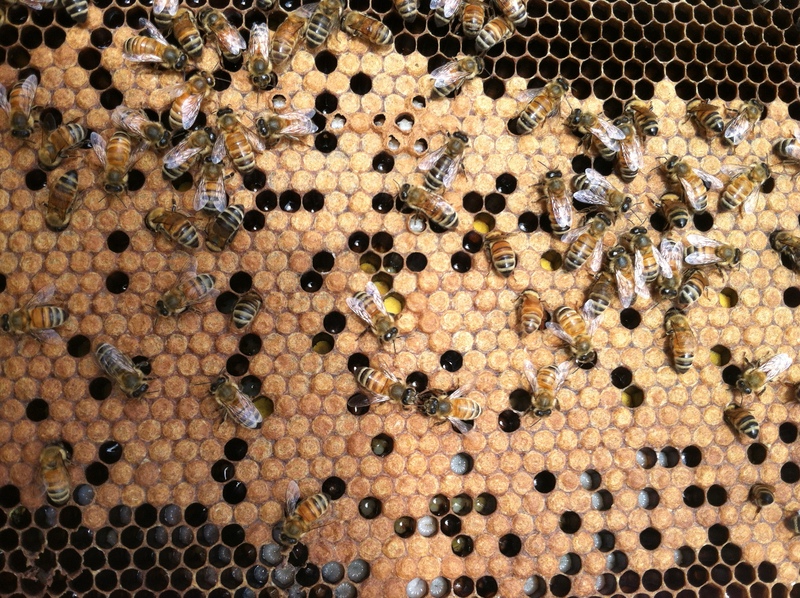 The queen has already been accepted and is the mother of all the bees including the brood in the frames. This is a bee hive in miniature – a working and laying queen is included along with her daughter worker bees, brood, pollen, and eggs. 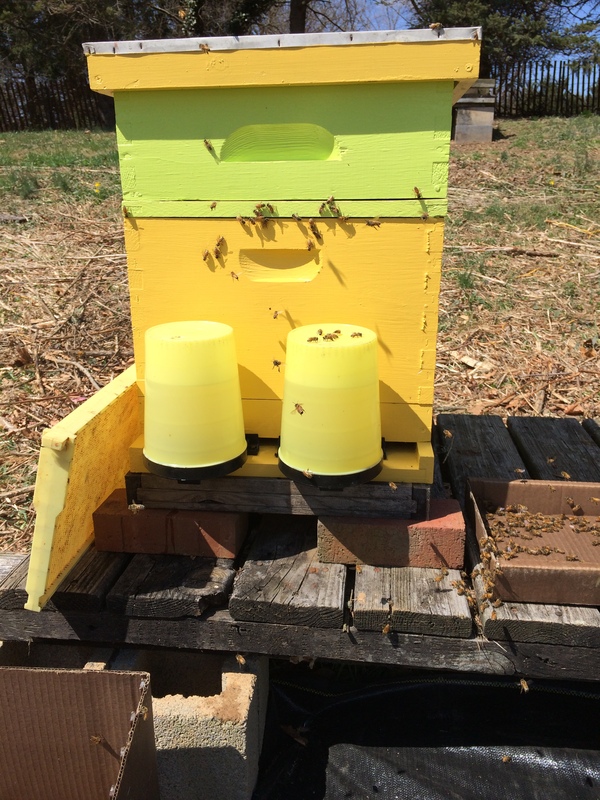 Here is a video of my bee club installing nucs into nuc boxes with feeders and queen excluders. 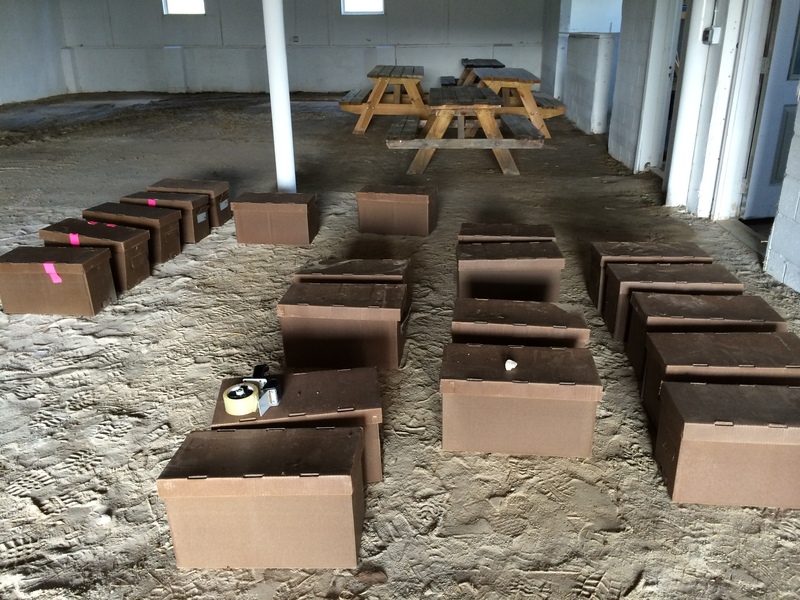 It is really important to remove and install the frames in the exact order that they are in the original box. 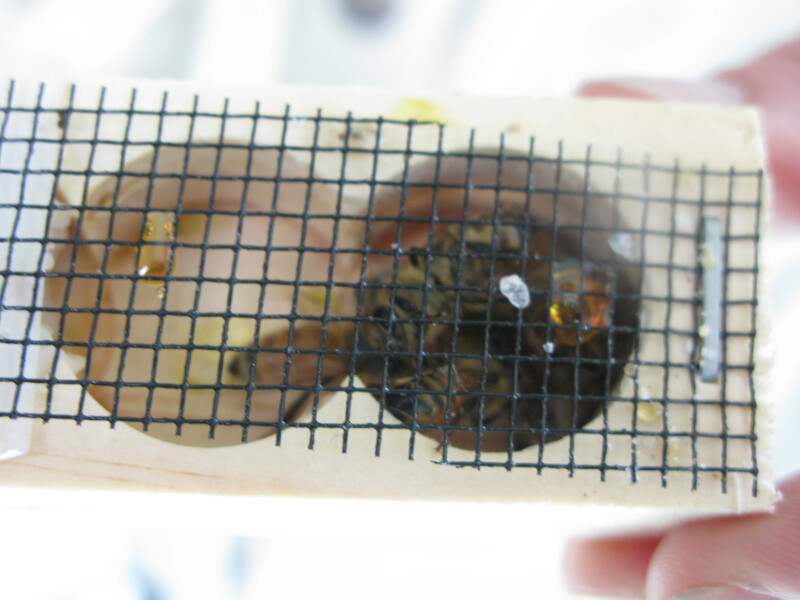 When you remove the frames, it gives you the opportunity to look for brood, honey storage, and the queen. A chilly wind was blowing, so the frames were quickly put in without inspecting. Later, in about a week, the frames will be inspected carefully, and the queen will be located along with an assessment of the health of the colony. 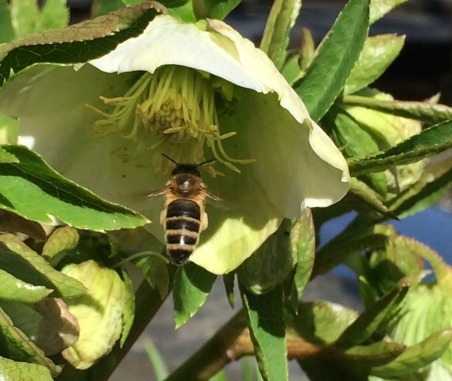 Sugar water is fed to the bees for the first couple of weeks until they can easily find nectar sources. Supplementary feeding is critical to the success of your colony. There are sparse nectar sources in early April, and I like to feed until I see plenty of flowers out there, probably in about 3 weeks. Any of these options should work for you, but for me I much prefer a nuc as the queen has been laying eggs for a while and you are ahead of the game because you aren’t starting from ground zero. With a package, your queen might not be accepted by the bees and you could be left queenless with 10,000 bees. My package is being shipped in a couple of weeks and this is my opportunity to compare the two- nucs and packages side by side. Stay tuned for my post on the package.